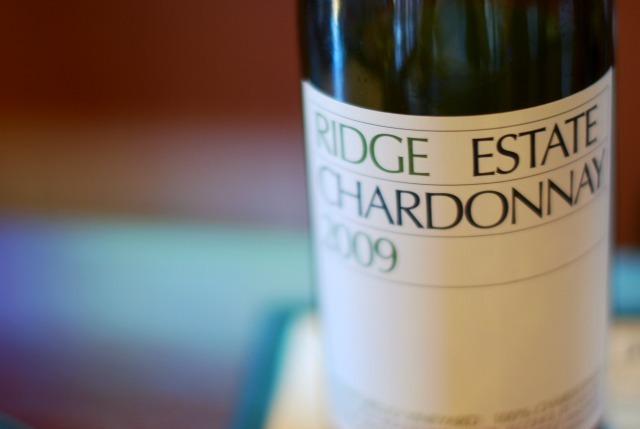 Over the weekend we visited Ridge, one of our favorite local wineries. 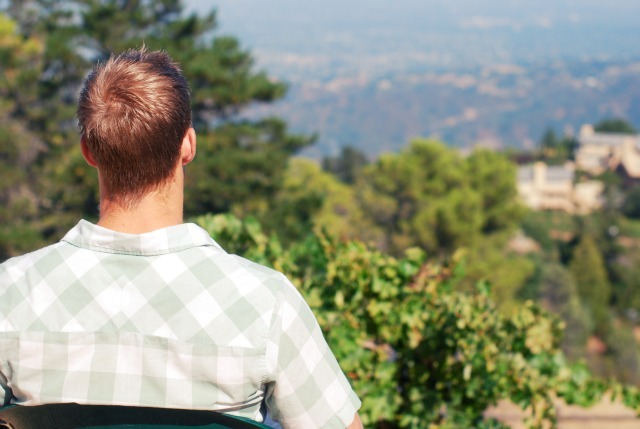 It's features a spectacular view of the city and really delicious wines. On a hot relaxed day I typically go for a "no fuss" look and throw on a pretty dress and sandals. This retro style Anthropologie dress is one of my favorites and now I've got my eye on more (like here and here)! 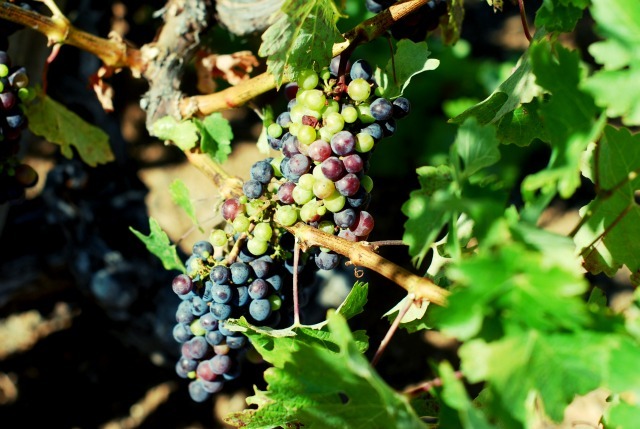 I always love seeing outdoors pictures..
What beautiful captures of the winery! That lovely white dress is so perfect for a summer stroll. Such a pretty and relaxed look - wish it was that warm here! Looks like a really nice day! And what a view. You look pretty and relaxed! Hi,I just found your blog and wanted to say how much I like it :) Will be waiting for your new posts! Love your outfit! I really like that gold ring too! love the outfit! The ring is gorgeous! Love your dress and those shoes! Cute outfit! You look relaxed and lovely. I love wine tasting! I love wine tasting, I'll have to check out this one! Thanks. And that ring is super cute, looks great with the dress. You are gorgeous! Love you in white. Beautiful dress! I can't believe you got the sandals from F21! This looks like such a lovely outing, Taylor! I love those little yellow sandals and that gold ring. What a relaxing day and it is just pictureque! I also love the white dress you are wearing, very 'no fuss,' yet still beautiful! one of my favorite wineries as well!! love the simple yet so beautiful white dress, great with the little pop of color in the shoes!! Aw, your dress is SO perfect for a day at a winery! Sweet, feminine & summery! I love it! pretty dress Taylor, definitely encapsulates a laid-back, casual vibe. the pop of yellow on the sandals is fun too. i have yet to formally go wine tasting (although i've visited napa briefly!). i must must do it! The wine tasting must have been so much fun!! 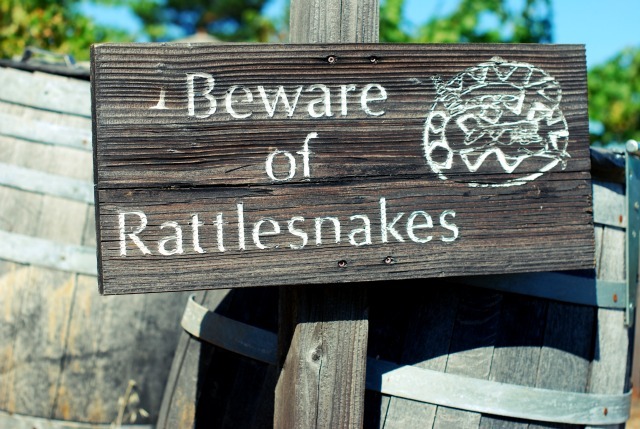 It looks like gorgeous scenery...did you really have to 'Beware of Rattlesnakes'?! you look amazing in that LWD! that dress looks amazing on you. you have a lovely figure. Some days "no Fuss" is the way to go! you are absolutely gorgeous! love this simple look! you're rockin' it! I adore that ring! Love how you mix jewelry Taylor! You look gorgeous in white darling! absolutely beautiful. People don't leave because things are hard. People do leave because it's no longer worth it.